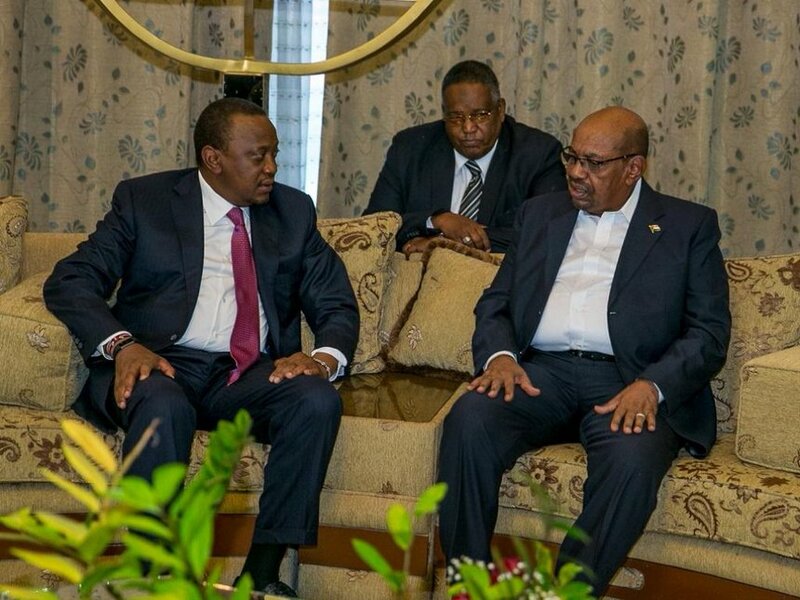 Home / County Politics, News / See what UHURU told ousted Sudan President OMAR AL-BASHIR two months ago when revolution had gathered momentum-Did he know? See what UHURU told ousted Sudan President OMAR AL-BASHIR two months ago when revolution had gathered momentum-Did he know? 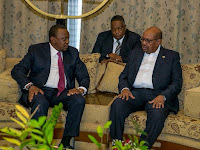 Friday April 12, 2019-President Uhuru Kenyatta had assured the embattled former Sudan President Omar Al-Bashir that he would help navigate through the crisis following the uprising that started in December after Sudan Government’s decision to increase the price of bread. Speaking when he met Bashir's Deputy Osman Mohammed Yousif at the Nairobi State House on February 6, Uhuru assured him of full support from Kenya, at a time when protests were intensifying in most parts of the country, with citizens pushing for his exit. He said that Kenya would help Bashir and Sudan regain their footing from the crisis. “Kenya will continue to support Sudan as it manages its internal affairs because the sovereignty of all Igad (Intergovernmental Authority on Development) member states is something of great importance to us,” said Uhuru. Bashir was overthrown yesterday by the military after 30 years in the top position where some of his top state officials arrested and political detainees set free.